Expert implementation and measurement of routine, new and less commonly used investigative procedures. Our clinical pathology laboratory has been established for many years and is equipped with all the necessary instrumentation and autoanalysers to support regulatory toxicology studies of all types. 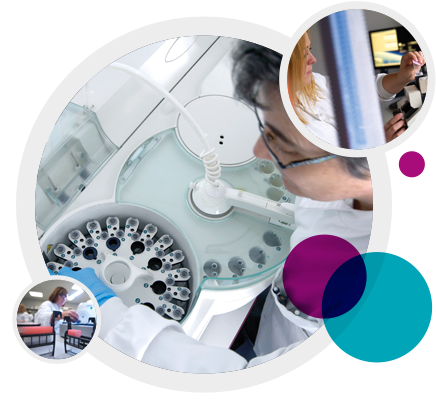 The team includes three highly experienced clinical pathology professionals qualified to MSc or PhD level, supported by experienced technical staff. Clinical Pathology forms a key component of our Biosciences division and is led by a pharmaceutical industry trained scientist (FIBMS) with over 25 years of experience in biomarkers and clinical pathology. This combination allows for expert implementation of new and less commonly used assays in addition to the standard clinical pathology determinations that are routinely measured.